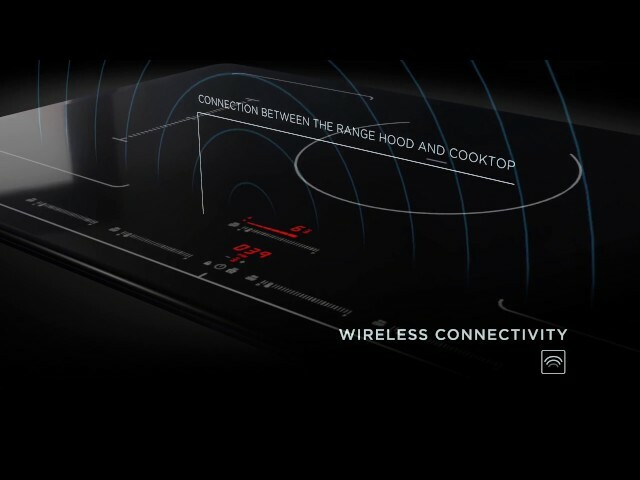 STONEY ISLAND is part of the Elica TECHNE PLUS product line, where hoods can operate automatically thanks to a wireless sensor technology that detects activity on the cooktop and constantly monitors temperature and moisture. The hood self adjusts the blower speed to the optimum setting without user involvement. The hood design projects pure elegance through the marriage of bright stainless steel, glass face plate and hidden electronic touch controls. The hood is equipped with Perimeter Aspiration technology which achieves top ventilating performance and lower sound levels. With the dimmable LED lights, it is possible to adjust the brightness of the lighting to create the perfect atmosphere.